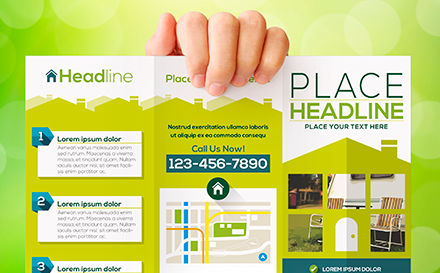 Looking to Boost your Business with Leaflet Marketing? Marketing your business via leaflets is by no means a new concept, it is however sometimes a forgotten one. With the rise in technology and digital marketing, traditional print marketing methods can be overlooked or viewed as outdated marketing methods. This is not the case and as with all print marketing, the practice is tried and tested and still delivers fantastic results when done properly. Leaflet marketing can be a great way of attracting new customers, whether they are looking for your product or service or are not aware that they are. A well designed, professional leaflet can help your business to attract new customers. Here are a few of the reasons why we think leaflet marketing is great and should be included as part of your marketing strategy. Unlike business cards or a tweet, a leaflet is big enough for you to be able to explain who you are, what you do and why the recipient needs you. It is important to remember that good practice for increasing readability and engagement to keep your leaflet copy, short, sweet and to the point. Keeping your copy short will help your potential customers to digest the information on your leaflet and absorb your key messages. Leaflet marketing is a foot in the door of your potential customer’s homes, whether they keep your leaflet or not, they will have seen your company name and branding and will recognise your company the next time they see your logo. Even if we don’t realise it, subconsciously we take in a lot more information than we realise such as names and branding. By getting into people’s homes you improve the chances of becoming familiar and instantly recognisable to hundreds and thousands of people. While the recipients may not be looking for your products or service right now, they are likely to remember you in the future if and when they are. Digital marketing methods such as social media or email marketing are a great way of getting your message to huge numbers of people, but they have a very short life span. For example, the average lifespan of a Facebook post is 2-3 hours before it gets drowned out by other posts and emails are quite often deleted without even being read. However, with leaflets they are often filed away in a draw or placed on the fridge by the recipient for future reference when they are looking for your product or service.